CNN to Dems: Why Did You Vote to Shut Down the Government? Democrats insist they don't want the government to shut down this weekend, but their votes don't back up their claims. On Thursday, the House passed a short term spending bill to keep the government funded. Only five Democrats voted yes. It needs 60 votes to pass the Senate, but plenty of Democratic senators have indicated they'll vote against any measure that simply "kicks the can down the road." CNN anchors - yes CNN - are calling them out on their hypocrisy. 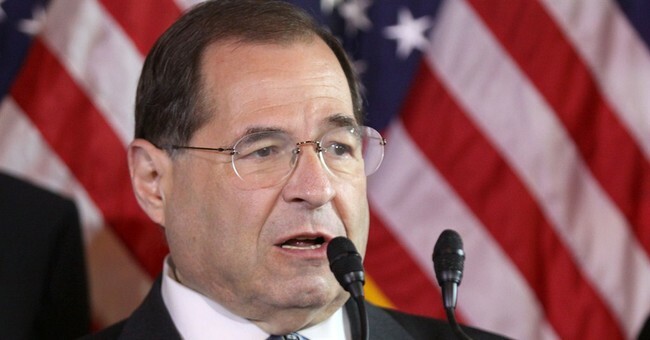 Rep. Jerrold Nadler (D-NY) was pressed about why he voted against the measure. He says he voted against a continuing resolution, not to shut down the government. But, that's not how CNN's Erin Burnett saw it. Oh man. Another instant classic. Burnett had similar questions for Sen. Ed Markey (D-MA). Sen. Jon Tester (D-MT) later joined Chris Cuomo to tell him that Mitch McConnell had planned to use this vote as political theater "from the get go." He said he'll be voting against cloture, which puzzled Cuomo. "Just to make it clear to the audience - you voted yes to proceed because you want to debate this bill - that's what that bill means," Cuomo said. "But you're saying you're going to vote no against it but you're saying you hope the government doesn't shut down...why would you vote no if you don't want the government to shut down?" House Speaker Paul Ryan has accused Democrats of holding the military hostage over immigration. He and other Republican leaders insist they can still work out a deal on DACA before the March deadline. Should the government close, the Republican National Committee has already given it a name: the Schumer Shutdown.